Remember that to ask your neighbor how he or she is feeling, you ask ¿Cómo estás? To answer, you can use Estoy bien or Estoy regular or Estoy mal, or you can use one of the phrases above. 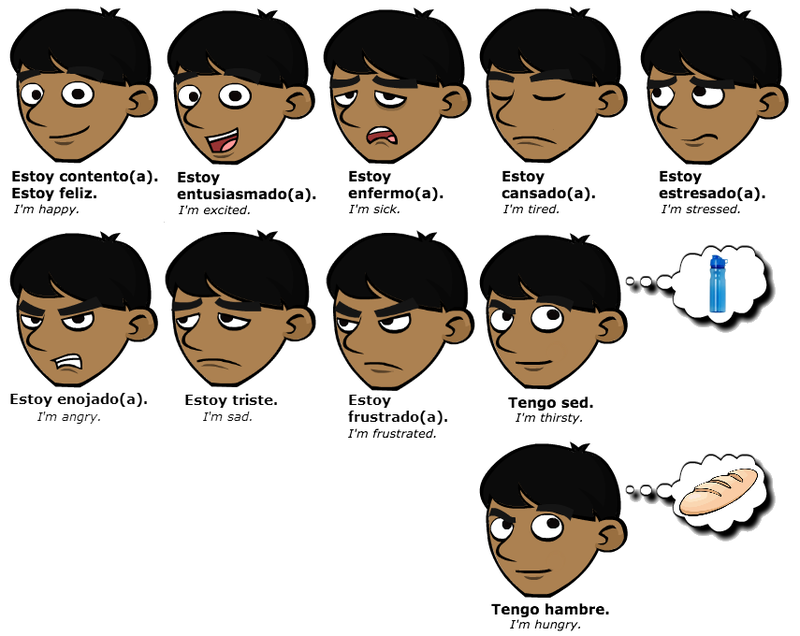 Notice that to say how you're feeling, sometimes you use estoy (I'm feeling) and sometimes you use tengo (I have). Literally, these phrases mean I have hunger, I have thirst, I have cold, I have heat. I feel like (playing soccer). Tengo ganas de (jugar fútbol). Tengo miedo a (las alturas).